Never met a stripe we didn't like tbh. 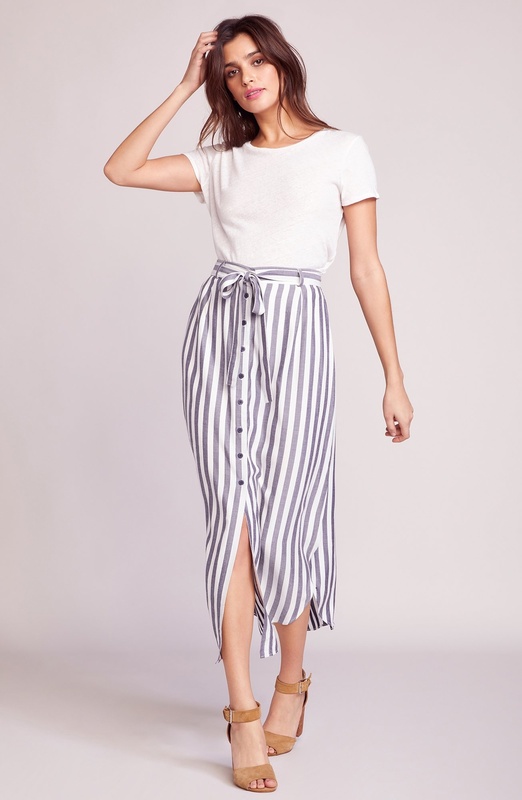 The Stripe I Like is a striped rayon midi length skirt with a button front and belted waist. We love how light and airy this beauty skirt is, perfect for a patio date with a denim jacket, or dressed up with a blazer at the office. 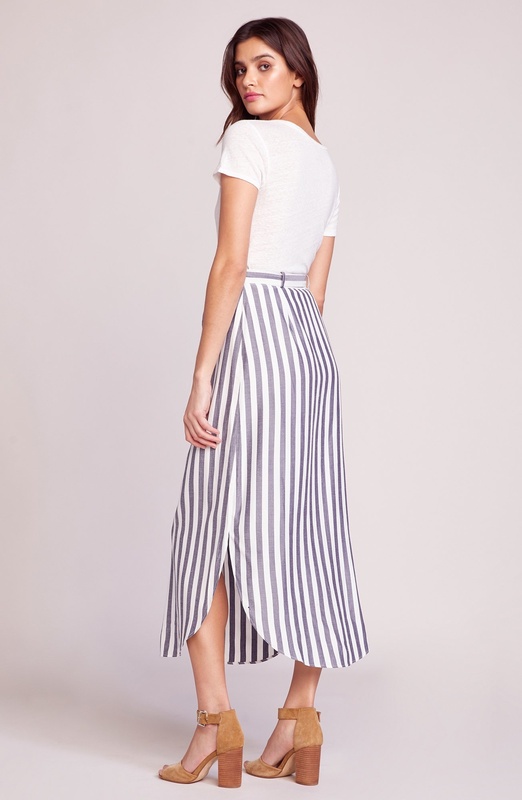 Dont forget this skirt has a matching top, style together for endless options.